Scattered rain is expected throughout San Diego County Wednesday as one storm makes way for a more powerful system expected to sweep into the region Wednesday evening, potentially bringing moderate to heavy rainfall through Friday morning. 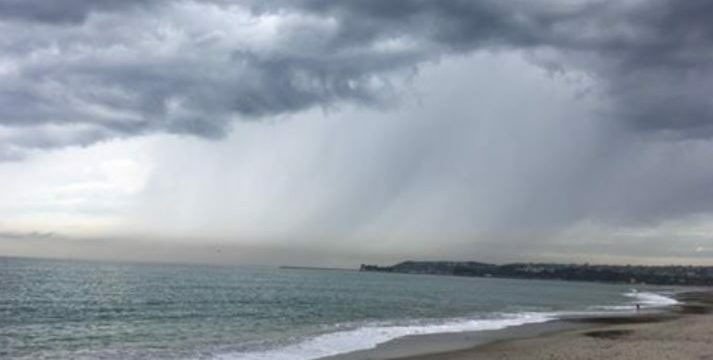 Scattered shower are expected throughout San Diego County Wednesday as one storm makes way for a more powerful system expected to sweep into the region Wednesday evening, potentially bringing moderate to heavy rainfall through Friday morning. As of 7 a.m., two-day precipitation totals across the county ranged from fairly light — 0.57 of an inch in Chula Vista — to heavy — 2.2 inches in Julian, according to the National Weather Service. 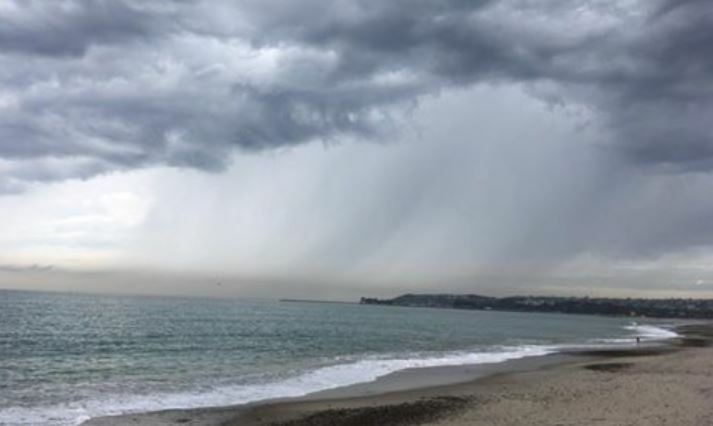 Along the coast, Oceanside received 1.27 inches over the 48-hour time frame while Brown Field airport in Otay Mesa got 0.63 of an inch and the San Diego International Airport was doused by 0.67 of an inch. Across the inland valleys, Santee got the most precipitation for the period — at 1.48 inches — while the highest total for the local deserts was 0.83 of an inch, in San Felipe, east of Julian. Coastal areas could get up to two-tenths of an inch Wednesday, while less than one-tenth of an inch are expected in inland-valley areas as well as the local deserts, according to the NWS. Up to six-tenths of an inch is forecast for Palomar Mountain and Julian could see around one-tenth of an inch of rain. Snow levels were at 7,000 feet Wednesday morning and are expected to rise to 8,500 feet by Wednesday evening, NWS meteorologist Jimmy Taeger said. The precipitation is expected to begin tapering off Wednesday morning before a third, stronger storm brings moderate to heavy precipitation Wednesday evening through Thursday night, forecasters said. Dry and warmer weather will kick in by Friday afternoon and prevail through the weekend.